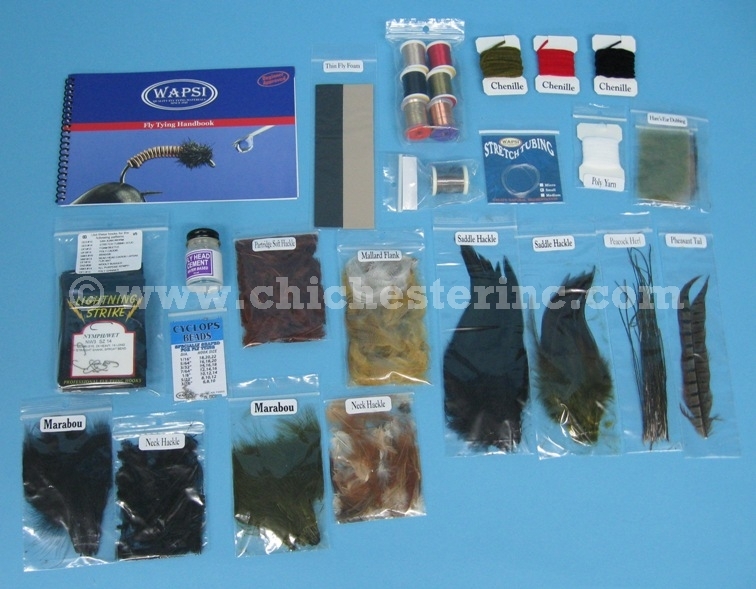 These fly fishing kits were developed for the beginner fly tyer. 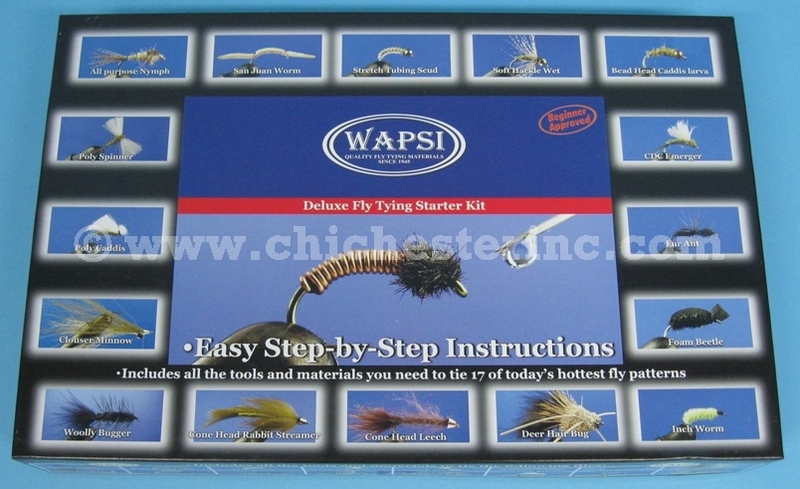 All kits come with a step-by-step instructional handbook that teaches the fundamental techniques of fly tying each of the patterns listed below. 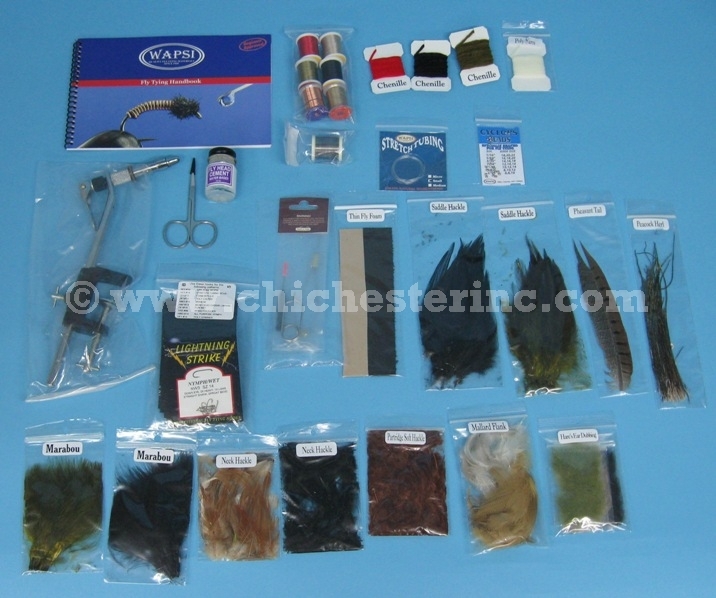 The Starter Kit includes the tools and materials to tie the following 10 fly patterns: Wooly Bugger, All Purpose Nymph, San Juan Worm, Stretch Tubing Scud, Foam Beatle, Poly Caddis, Brassie, Bead Head Caddis Larva, Fur Ant, and Inchworm. 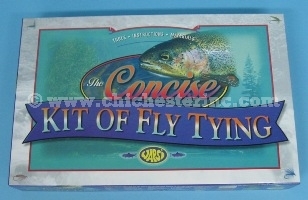 The kit is 12.5" x 9.5" and weighs 2 lbs. The Deluxe Starter Kit includes the tools and materials to tie the same patterns as the Starter Kit as well as the following 7 fly patterns: Poly Spinner, Cone Head Rabbit Streamer, CDC Emerger, Soft Hackle Wet, Cone Head Leech, Deer Hair Bug, and Clouser Minnow. 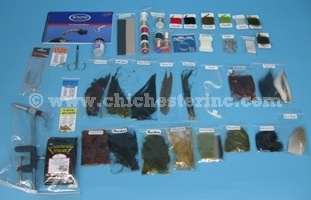 The kit is 14.5" x 9.5" and weighs 2.32 lbs. 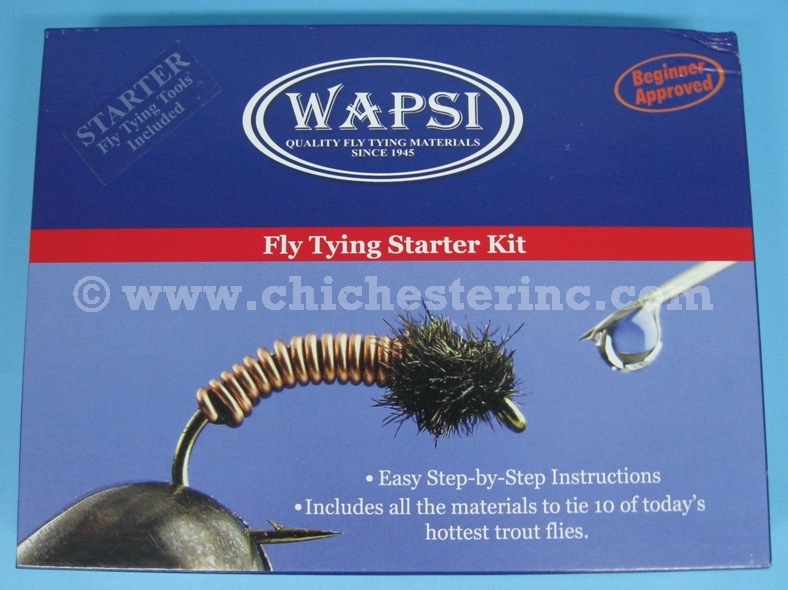 The Starter Kit Materials Only includes all of the materials found in the Starter Kit to tie the flies but does not include the tools. The kit is 12.5" x 9.5" and weighs 0.94 lbs. 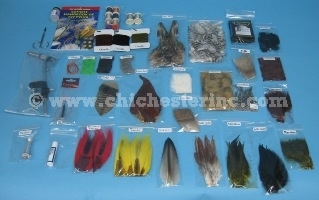 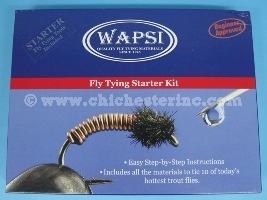 The Concise Kit includes a large assortment of fly tying materials and tools. 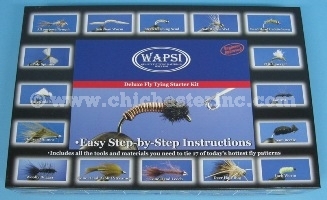 It also includes a full-color guide that teaches the basics of fly tying. The kit is 14.25" x 9.25" and weighs 2.5 lbs. Not for export outside of the USA due to extensive USFWS requirements.